A construction site is a hazardous place to work. A recent Occupational Safety and Health Administration (OSHA) survey has stated that one in ten construction site workers are injured every year. Completely eliminating accidents from the construction site is impossible. However, reducing the risk of accidents is a very practical. Understanding the common causes of construction site accidents will help in reducing the number of accidents. Slips and falls are the most common cause of death in a construction site, constituting about 36% of all deaths that occurred in a construction site. Unsafe working conditions can lead to a slip and fall accident. The hazards that a construction worker has to look out for are unprotected sites, bad scaffold construction and loose portable ladders. All companies must have a safety plan to protect their workers from slip and fall accidents. Adequate protection is mandatory when a construction worker is working near an electrical power circuit. Electrical incidents are the third most common cause of a death in a construction site accident. At times, fire and explosions can be caused by unfinished plumbing and electrical jobs. 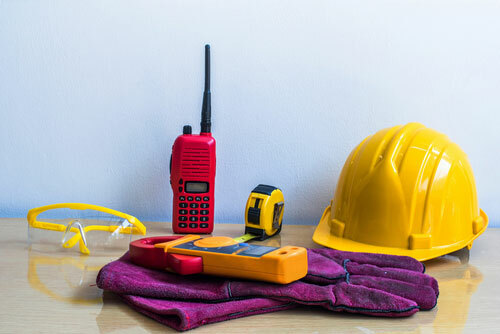 Most electrical accidents on a construction site occur due to contact with power lines, improper use of electrical equipment and improper use of extension cords. This category refers to a worker being struck by a heavy equipment or object. In most cases, cranes and trucks cause fatal accidents. Falling objects or unstable walls could also cause accidents. There are cases where workers died after being caught in between two objects. A cave-in can occur in trenches that can cause fatal accidents. Apart from that, accidents also occur due to toxic fumes, drowning, asphyxiation due to insufficient oxygen and unanticipated contact with pipelines underground. If you have been injured in a construction site accident, you need to see a lawyer right away. The guidance from a well informed and experienced lawyer can help you receive the compensation you deserve. If you need assistance in your construction site accident case, call 845 896 4711 or email at info@ianelli.com.